Today, we are releasing Build 14267 to Windows Insiders in the Fast ring. 1. We introduced the new Release Preview ring last week which is for Windows Insiders who want to stay on the Current Branch (currently builds based off of Build 10586), but continue to receive early access to updates, application updates, and driver updates. This is a great option for people who want to get updates early but not go all the way to installing full preview builds. 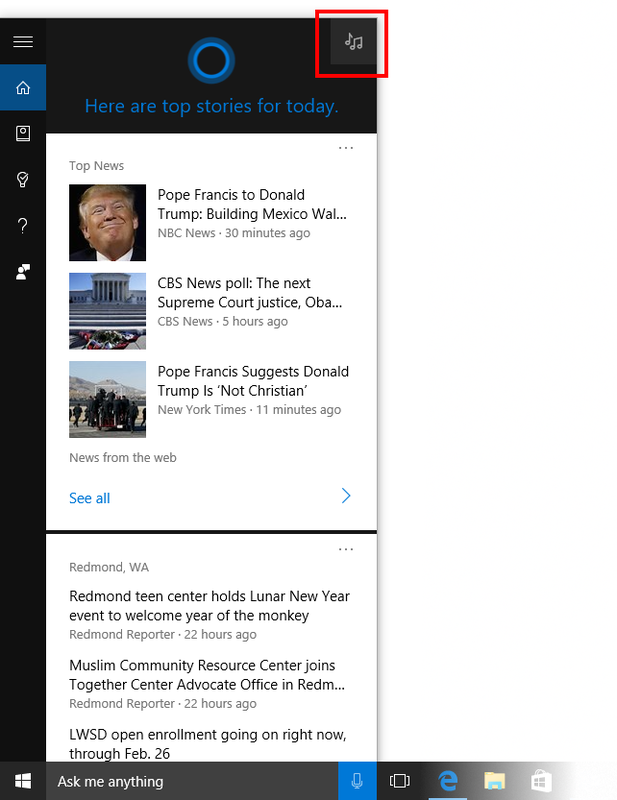 Because the Release Preview ring offers updates to the Current Branch, it is only visible to devices on the Current Branch (Build 10586). If you are on a newer build, flights to the Release Preview ring won’t be applicable to that device. The easiest way to go between the Development Branch to the Current Branch is to use the Media Creation Tool to reinstall Windows 10. 2. We’ve adjusted the criteria we use to release new builds to Windows Insiders in the Fast ring to get builds out more quickly – this means these builds may include more bugs and other issues that could be slightly more painful to live with. So if you’d like to change your ring to stick to more stable builds you can go to Settings > Update & Security > Windows Update > Advanced options and under “Get Insider Preview builds” moving the slider to the Slow ring. If you’re a student or teacher running the Windows 10 Education edition – you can now go to Settings > Update & security > Advanced options and opt-in your PC to receive Insider Preview builds. By joining the Windows Insider Program and running Windows 10 Education - you can help to shape the future of Windows for education customers. You can be a part of the ongoing process of improving the features and functionality of Windows that has helped us build the best Windows yet. Windows 10 Education is available through Microsoft Volume Licensing. Individual students in schools participating in the DreamSpark program or eligible for the Windows student use benefit may also be able to download Windows 10 Education as a benefit of their school’s partnership with Microsoft. Search for music easier in Cortana: We have made it easier to invoke music search in Cortana by adding a music search icon to the top right of Cortana. You can now open Cortana on your PC and click on the music search icon to have Cortana listen and search for the song that’s playing. 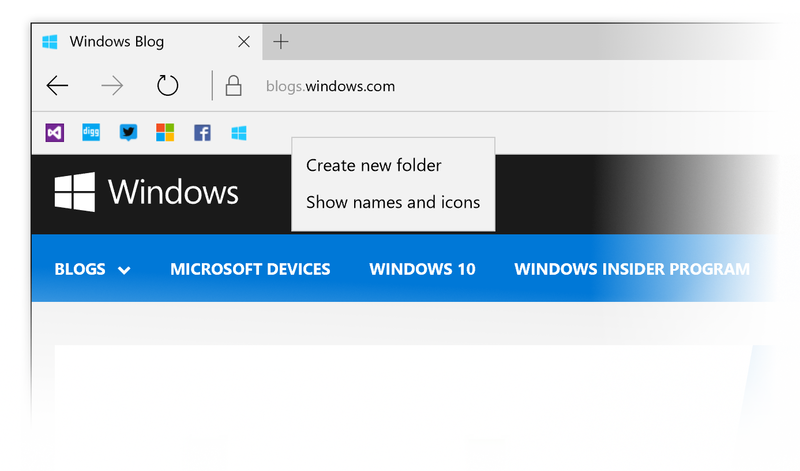 Favorites bar improvements in Microsoft Edge: If you have the favorites bar enabled in Microsoft Edge, you can now right-click on the favorites bar and choose to have it only show the favicons only. You can also right-click to add new folders in your favorites bar as well. Clear browsing data when you exit Microsoft Edge: You can now choose to have your browsing data cleared when you exit Microsoft Edge. Just click on the three dots at the top right in Microsoft Edge and go into Settings, click on the “Choose what to clear” button under “Clear browser data” and enable “Always clear this after I close the browser” after choosing what data you want cleared. Improved Download Prompts in Microsoft Edge: You can now configure Microsoft Edge to show a prompt when you start a download, allowing you to choose where to save the file. Just open the Microsoft Edge settings pane (the three dots at the top right) and look for the option under “Downloads settings”. Messaging + Skype improvements: You can now attach photos to your Skype messages by clicking or tapping on the paperclip icon at the lower left as you’re composing a new Skype message to a contact. Additionally, you can also invoke the Camera app to take a photo to attach to your Skype message too or send along your location. Choosing “Reset This PC” under Settings > Update & Security > Recovery should now work as expected. You should no longer see a WSClient.dll error dialog after logging in. The front-facing camera should be usable again on PCs with Intel RealSense cameras and you should be able to use Windows Hello again. We fixed an issue where incorrect storage capacity was provided for the system volume (the hard drive in which Windows is installed on) under Settings > System > Storage. As always – thank you for being Windows Insiders and make sure to send us feedback on any issues you run into with this build in the Windows Feedback app.